Southwest dressing (or southwest ranch dressing) is easy to make. Simply add some combine 1/4 cup of El Pinto Salsa with 1/4 cup of ranch dressing spice up your party in an instant. This is a perfect dressing for hot wings. 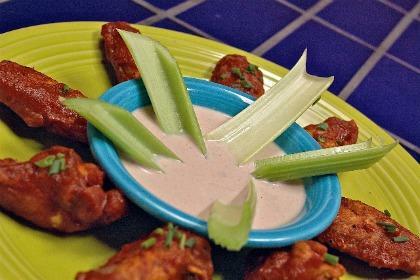 See our hot wings recipe. Combine ingredients and stir. Makes 2 servings.